Slaughtered 30 quails today and I see on the net some people claim to do one quail in 3 minutes. I am far behind as 30 quails took me 5 hours – i.e. 10 minutes each. I must say though that I have done a good job slaughtering, cleaning, de boning, vacuum packing and freezing all included in my time trial. Tradition has it that the entrails (Giblets, Hart and Liver) are eaten on the day, as we have done. See this wonderful risotto recipe we had as a primo piatto. 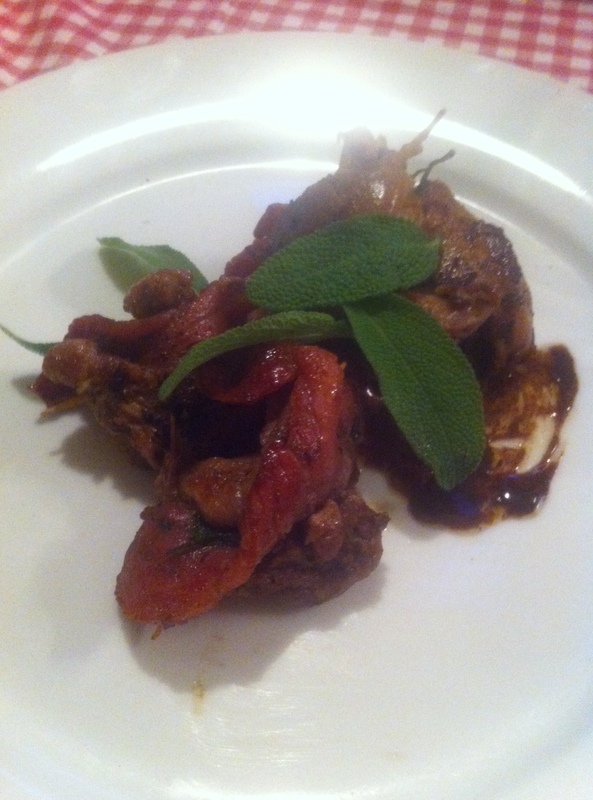 Also tried some Otago Fried Quails (the Colonel would have envied this) with the drumsticks and wings – antipasto. The breast meat was eaten as Involtini di Quaglia – a mouth watering experience – secondo piatto. See recipe. For those friends that were invited but could not come – you missed on a very special meal. Fry onion and garlic in butter and olive oil until onions are soft. Ad quail livers and harts, chilli and chopped rosemary and continue to cook until meat is done. While frying ad salt and pepper to taste. Set aside. In the mean time make a traditional risotto using the Quail Stock made with the wings, back bone, rib case and breastbone. Ad the quail meats five minutes before the rice is done. When the risotto is al dente, stir in some butter off the heat and ad parmigiano when on plate. ENJOY!! Take the deboned breast meat and make involtinis with the meat, fresh sage leaves and pancetta. Ad salt and pepper. Secure with string. Fry the involtinis in butter until done and then remove from pan. Deglaze the pan with good red wine and reduce a bit. Pour over the involtini and serve. WHAT A DELIGHT!